Green heavy duty belt swing seat with extra strong chain for your child's safety and entertainment. 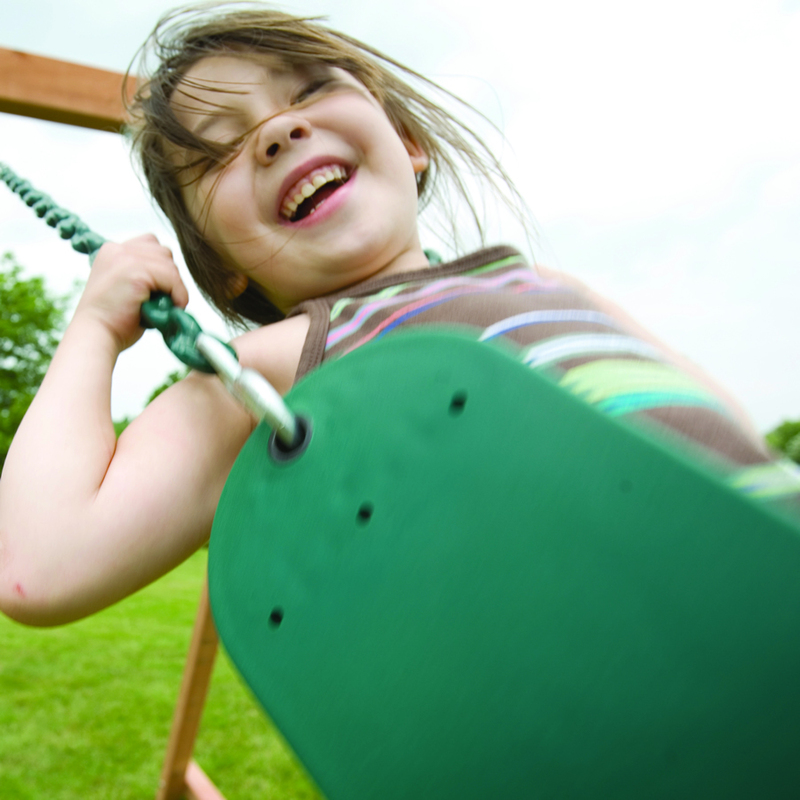 Our belt swing seats encourage your children to get active and stay active all summer long! The belt swing chain is coated with plastisol to help with gripping, reduce pinching of small fingers, protect chains from the hot sun and reduce rust. The heavy-duty seat bends and conforms to the body, keeping kids secure and comfortable while swinging. This green belt swing can be easy installed on most swing sets in under a minute. Replacing your old and worn out swings has never been so easy. Your child will be swinging into action in no time! Measurements: Seat 5 1/2" x 26"
Did you know belt swings help kids grow mentally and physically? Belt swings help kids build their physical strength while learning how to communicate with their peers. In addition, swings inspire kids to use their imagination as they soar to new heights. 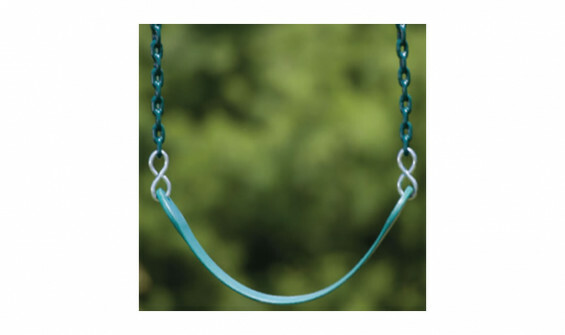 To parents, it's just a swing, but no play set would be complete without a belt swing! No specs found for this product. I bought a Kids Creation Swing Set about 12 years ago! It is still in excellent condition. We stain it every other year just to keep it looking nice. After twelve years, I am just now needing to replace my two green swings. The plastic coating on the chains on the swings has been picked off in a few spots by neighborhood kids, so the chain is sticky and exposed. The plastic coating on the chains is the best part of these swings. It makes it comfortable for the kids-no pinched fingers and easy to grip the swing. So, I will replace the swings and hopefully get at least another twelve years! This swing set is hands down the best purchase I ever made!!!!! Great product and service/delivery. Thank you.